Guided walks through the town and park, as well as guided hikes in the lowlands and highlands, from May to October. Guided tours of Neuschwanstein and Hohenschwangau Castles, St. Coloman's Pilgrimage Church and the Roman villa. Forggensee ships: June - October. 2 nights' accommodation with breakfast, 'musiculinary' evening meal (culinary symphony in 5 courses), special private guided tour of Hohenschwangau Castle, evening trip in a horse-drawn coach, themed as 'King Ludwig Romanticism' and including a "Stamperlstop" (Schnaps, fruit juice for children), four-course Bavarian menu from the recipe collection of the royal kitchens. 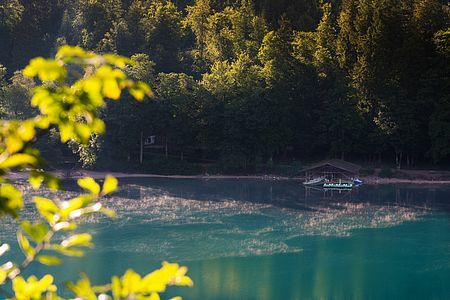 3 nights' accommodation with breakfast, visit to the Royal Crystal Thermal Baths with a range of saunas as well as a 'relaxation package' with a head and face massage, a leg peel and a choice of a manicure or a pedicure. 3 nights' accommodation with breakfast, 2-hour taster course in traditional cross-country skiing or 2-hour taster course in skating (additional fees payable for equipment), visit to the Royal Crystal Thermal Baths, an organised walk to see the feeding of the wild game, a romantic evening meal with aperitif. 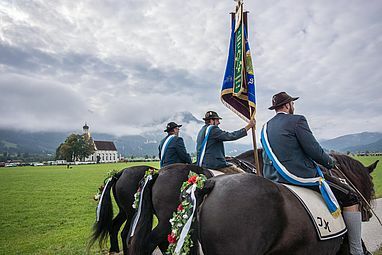 'Alpine Advent singing in the village of the Royal Castles': three nights' accommodation with breakfast, visit to Alpine Advent singing in the Parish Church, one coach or horse-drawn sledge ride, one hike to Neuschwanstein Castle with visit.